Research interests include: data analysis, topological methods for image segmentation, progressive and multi-resolution techniques for scientific visualization, combinatorial topology, geometric compression, computer graphics, computational geometry, geometric programming, and solid modeling. 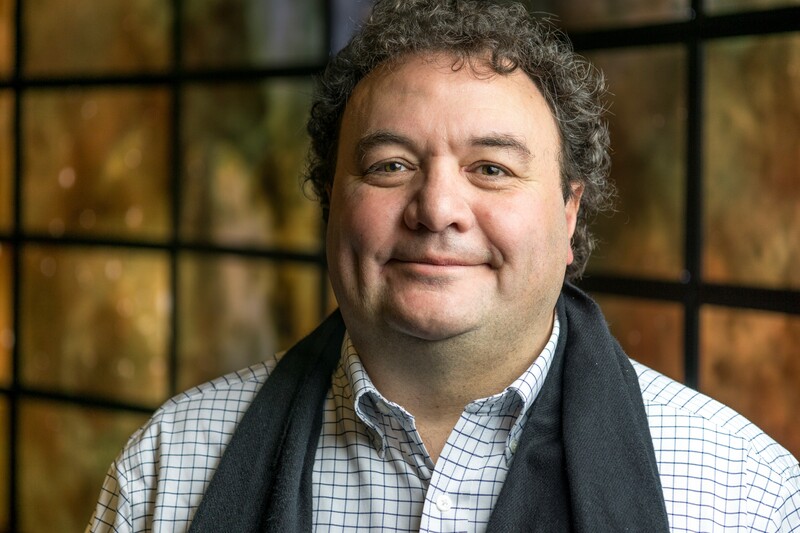 Valerio Pascucci is the founding Director of the Center for Extreme Data Management Analysis and Visualization (CEDMAV) of the University of Utah. Valerio is also a Faculty of the Scientific Computing and Imaging Institute, a Professor of the School of Computing, University of Utah, and a DOE Laboratory Fellow, of the Pacific Northwest National Laboratory. Previously, Valerio was a Group Leader and Project Leader in the Center for Applied Scientific Computing at the Lawrence Livermore National Laboratory, and Adjunct Professor of Computer Science at the University of California Davis. Prior to his CASC tenure, he was a senior research associate at the University of Texas at Austin, Center for Computational Visualization, CS and TICAM Departments. Valerio earned a Ph.D. in computer science at Purdue University in May 2000, and a EE Laurea (Master), at the University "La Sapienza" in Roma, Italy, in December 1993, as a member of the Geometric Computing Group. Valerio came to the U.S. in 1995 after having grown up in Roma, Italy. Interactive editing of massive imagery made simple: Turning Atlanta into Atlantis. ACM Transactions on Graphics (TOG) TOG, Volume 30 Issue 2, 2011, pp. 7:1-7:13. To be presented at SIGGRAPH 2011. 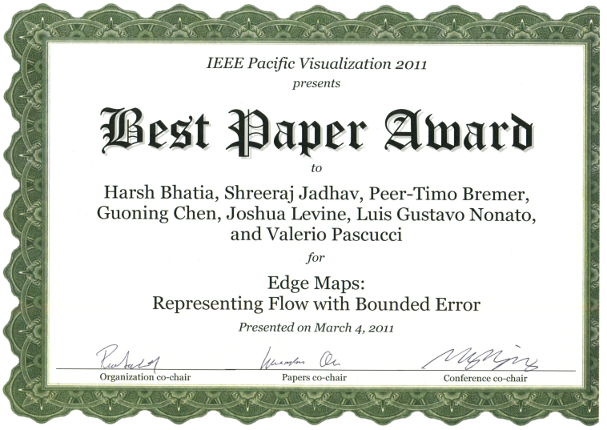 Edge Maps: Representing Flow with Bounded Error. Proceedings of IEEE Pacific Visualization 2011, pp. 75-82,winner of the best paper award. 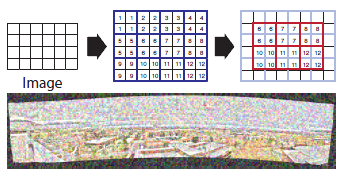 Parallel Gradient Domain Processing of Massive Images. Proceedings of the Eurographics Symposium on Parallel Graphics and Visualization 2011, pp. 11-19. Visual Exploration of High Dimensional Scalar Functions . IEEE Transactions on Visualization and Computer Graphics 16(6), pp. 1271-1280, 2010. Interactive Exploration and Analysis of Large Scale Simulations Using Topology-based Data Segmentation. IEEE Transactions on Visualization and Computer Graphics 99, 2010. Analyzing and Tracking Burning Structures in Lean Premixed Hydrogen Flames. IEEE Transactions on Visualization and Computer Graphics 16(2), 2010. Streaming-Enabled Parallel Dataflow Architecture for Multicore Systems. Proceedings of IEEE/VGTC EuroVis 2010. Efficient Computation of Morse-Smale Complexes for Three-dimensional Scalar Functions. 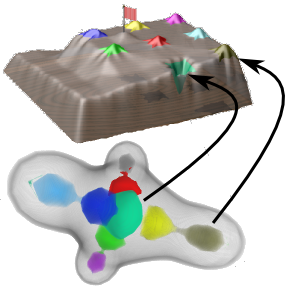 Genus Oblivious Cross Parameterization: Robust Topological Management of Intersurface Maps. Proceedings of Pacific Graphics 2007 pp. 238-247, IEEE Computer Society, 2007. Topological Landscapes: A Terrain Metaphor for Scientific Data. Robust On-line Computation of Reeb Graphs: Simplicity and Speed. 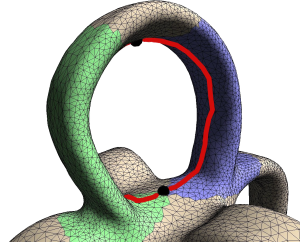 Find undesired tunnels in a 3D model using the Reeb graph (106MB video). Reeb graph of a running horse (7.7MB video). Understanding the Structure of the Turbulent Mixing Layer in Hydrodynamic Instabilities. IEEE Transactions on Visualization and Computer Graphics Vol. 12, No. 5, pp. 1053-1060, 2006. 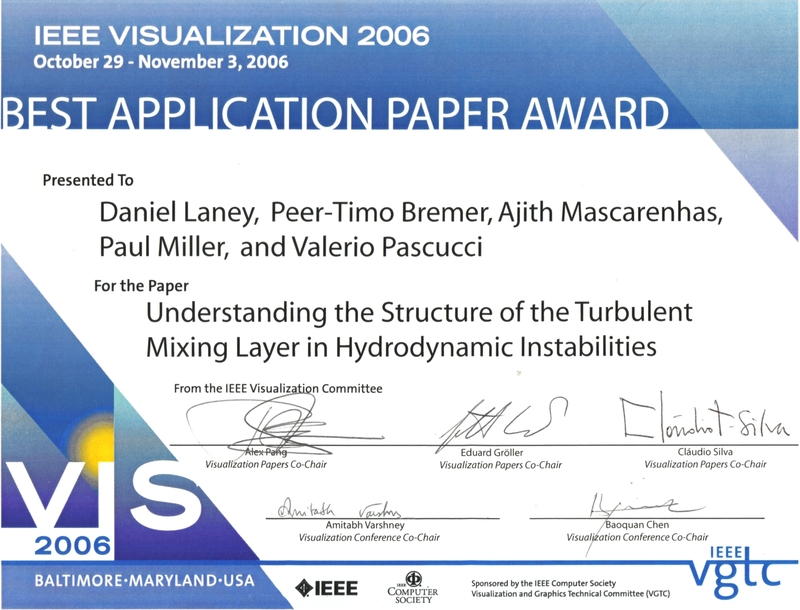 Proceedings of IEEE VIS 2006, winner of the best application paper award. Tracking Bubbles in a Rayleigh-Taylor Instability (48MB video). 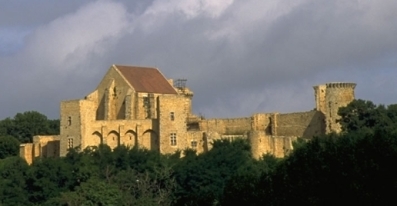 Invited talk at the Workshop on Ultra-Scale Visualization, Supercomputing 2006. Progressive Volume Rendering of Large Unstructured Grids. IEEE Transactions on Visualization and Computer Graphics Vol. 12, No. 5, pp. 1307-1314, 2006. Proceedings of IEEE VIS 2006. ACM Transactions on Graphics, Volume 25 , Issue 3, pp.1057-1066qs (July 2006). Persistence-Sensitive Simplification of Functions on 2-Manifolds. In Proceeding of the 22-th ACM Symposium on Computational Geometry (SoCG), 2006. Streaming Simplification of Tetrahedral Meshes. IEEE Transactions on Visualization and Computer Graphics, to appear. 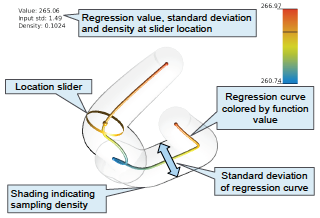 IEEE Visualization 2005, pages 275-280, 2005. SIGGRAPH 2005, (ACM Transactions on Graphics), vol 24, n. 3,pages 886--893, 2005. LLNL Technical Report number UCRL-PROC-208680. Preliminary version appeared in the proceedings of the IASTED conference on Visualization, Imaging, and Image Processing (VIIP 2004), 2004, pp.452-290. IEEE Conference on Visualization, 2004, pages 275-280. IEEE/SIGGRAPH Symposium on Volume Visualization, 2004, pages 47-54. 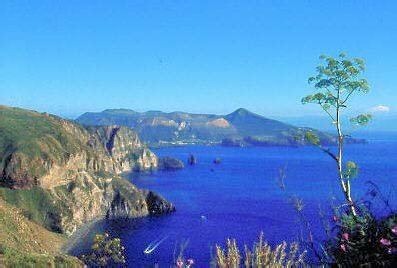 In Proceeding of the 2-nd International Symposium on 3D Data Processing, Visualization and Transmission (3DPVT), 2004, to appear. In Proceeding of the 9-th ACM Symposium on Solid Modeling and Applications (SM04), 2004, pages 203-211. In Proceeding of the 20-th ACM Symposium on Computational Geometry (SoCG), 2004, pages 366-372. Chapter 8 in Topological Data Structures for Surfaces, March, 2004. Chapter 5 in Topological Data Structures for Surfaces, March, 2004. Joint Eurographics - IEEE TVCG Symposium on Visualization (VisSym), 2004, pages 293-300. IEEE Conference on Visualization, 2003, pages 139-146. IEEE Symposium on Parallel and Large-DataVisualization and Graphics (PVG), 2003, pages 61-68. John Wiley and Sons, 2003. Algorithmica, vol. 38, n. 2, October 2003, pages 249-268. K. Cole-McLaughlin, H. Edelsbrunner, J. Harer, V. Natarajan, and V. Pascucci. In Proceeding of the 19-th ACM Symposium on Computational Geometry (SoCG), 2003, pages 344-350. H. Edelsbrunner, J. Harer, V. Natarajan, and V. Pascucci,. In Proceeding of the 19-th ACM Symposium on Computational Geometry (SoCG), 2003, pages 361-370. In Proceedings of Eurographics VisSym 2003, to appear. In Proceedings of the 18-th annual ACM Symposium on Applied Computing, March, 2003, Melbourne, FL, pages 194-198. Discrete Applied Mathematics, Volume 127, Issue 1, April 2003, pages 23-51. Chapter in Hierarchical and Geometrical Methods in Scientific Visualization, 2002, pages 225-241. In Proceedings of IEEE Conference on Visualization, 2002, pages 475-482. Computer Graphics Forum, vol. 21, n. 3, September 2002, pages 451-460, (Proceeding of Eurographics 2002). IEEE Transactions on Visualization and Computer Graphics, vol. 8, n.3, July-September 2002, pages 239-254. Finding line segments with Tabu Search. IEICE Transactions on Information and Systems, vol.E84-D,n.12, December 2001, pages 1739-1744. Global Static Indexing for Real-time Exploration of Very Large Regular Grids. In proceedings of Super Computing 2001, on-line proceeding, November, 2001. Temporal and Spatial Level of Details for Dynamic Meshes. In proceedings of ACM Symposium on Virtual Reality Software and Technology, pages 77-84, November, 2001. 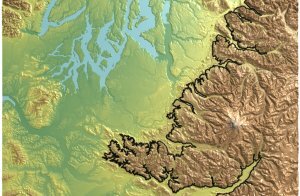 Visualization of Large Terrains Made Easy. In proceedings of IEEE Conference on Visualization, 2001, pages 363-370,574. In Proceeding of the ACM Symposium on Volume Visualization and Graphics (VolVis), 2000, pages 22-42. Multi-Resolution Dynamic Meshes with Arbitrary Deformations. In Proceedings of the IEEE Conference on Visualization, 2000, pages 423-430. Progressive Compression and Transmission of Arbitrary Triangular Meshes. In Proceedings of the IEEE Conference on Visualization, 1999, pages 307-316. Parallel accelerated isocontouring for out-of-core visualization. Proceedings of the 1999 IEEE symposium on Parallel visualization and graphics (PVG), 1999, pages 97-104. Hypervolume visualization: A challenge in simplicity. In Proceedings of the IEEE Symposium on Volume Visualization (VolVis), 1998, pages 95-102. In Proceedings of IEEE Conference on Visualization, 1997, pages 167-175. Contour trees and small seed sets for isosurface traversal. In Proceedings of the 13th ACM Annual Symposium on Computational Geometry (SoCG),1997, pages 212-220. ACM Press. Fast Isocontouring for Improved Interactivity. In Proceedings of the IEEE, ACM/SIGGRAPH Symposium Volume Visualization 1996, pages 39-46. ACM Press. NURBS based B-rep models for macromolecules and their properties. In Proceedings of the 4th Symposium on Solid Modeling and Applications, pages 217-228, New York, May 14-16 1997. ACM Press. In Proceedings of the 12-th ACM Symposium On Computational Geometry (SoCG), 1996, pages 88-97. In Proceedings of the Fifth International Conference on Computer-Aided Design Futures, (CAAD Futures '95), 1995, pages 127-141. Valerio is the LLNL Project Leadear and/or PI for the projects listed below. Thanks to the sponsors: , , , , . The size of scientific data sets that are generated by evolving supercomputers, large sensor networks, and high-resolution imaging devices is increasing rapidly, at an exponential rate. This project addresses the need for more effective data analysis methods. It develops technologies concerned with the analysis and representation of very large scientific data sets, emphasizing concepts that capture qualitative characteristics. In light of the limitations of purely visualization-based approaches applied to "raw" scientific data sets directly, this project aims at devising new concepts for visualizing very large and complex data sets. The methods being developed first extract meaningful qualitative information from a given data set, which is then used to present the higher-level information content of the data set in a significantly more compact form, thus stressing relevant qualitative behavior. The project builds on concepts from classical topology and geometry, which have contributed substantially to the development of the relatively new fields of computational topology and computational geometry. These two fields hold great potential for substantially advancing the visualization technology for understanding extremely large, complicated data sets. This projects adapts (and generalizes) computational topology and computational geometry algorithms that are well-established for smooth mathematical functions to real-world, finite-sample data sets, i.e., functions sampled at a finite number of points (that could possibly be connected by a mesh). Real-world data sets are noisy, which further complicates the application of topological methods that were developed originally for smooth functions. This project investigates the generalization of techniques based on Morse and Morse-Smale theory (studying critical-point behavior and drawing qualitative conclusions about functions) to discretized scalar fields that change over time and also contain noise. 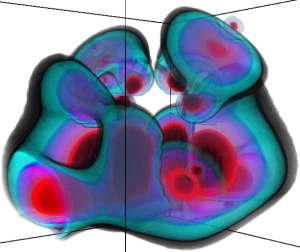 This project focuses on leveraging scientific visualization and analytics software technology as an enabling technology for increasing scientific productivity and insight. Advances in computational technology have resulted in an "information big bang," which in turn has created a significant data understanding challenge. This challenge is widely acknowledged to be one of the primary bottlenecks in contemporary science. The vision for our Center is to respond directly to that challenge by adapting, extending, creating when necessary and deploying visualization and data understanding technologies for our science stakeholders. Using an organizational model as a Visualization and Analytics Center for Enabling Technologies (VACET), we are well positioned to be responsive to the needs of a diverse set of scientific stakeholders in a coordinated fashion using a range of visualization, mathematics, statistics, computer and computational science and data management technologies. Development of software tools that run on embedded systems involves a number of challenges ranging from porting to specialized processors, running with extremely limited memory, reduced OS support, and dealing with particularly slow and imbalanced hardware performance. We propose a practical study of these challenges with focus on the Progressive Image Analysis and develop and adaptation to devices using an ARM core processor (used in digital cameras, GPS, hand held computers, smartcards, wristwatches, USB hard drives, i-pod, and more) using linux and windows CE operating systems. 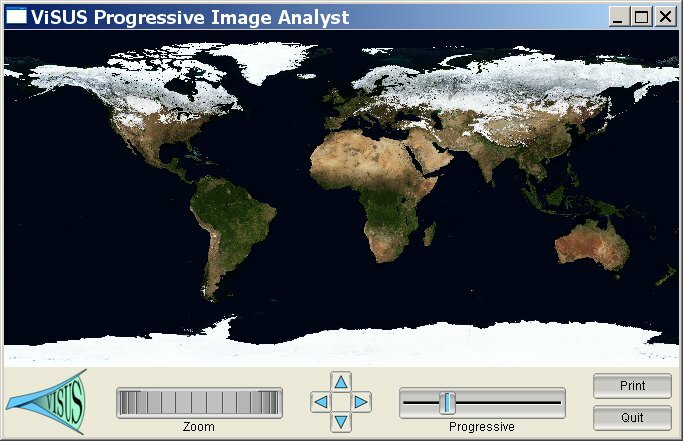 Our concrete goal is to program an ARM system with 32/64 MB of memory to display in real time gigabytes to terabytes of high resolution satellite imagery and KML vector information. With this focused effort we will (i) produce a prototype tool of practical interest for the geospatial intelligence community and (ii) develop important expertise in formal and practical methods that allow successful development and deployment of software tools for embedded systems that can be used effectively on the field for defense and intelligence operations. 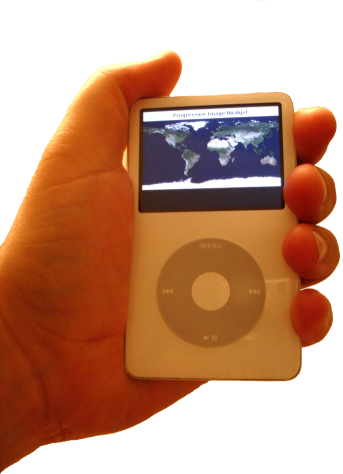 In this project we conduct basic research in progressive algorithms for the real-time analysis of streaming data. The focus is on enabling feature and anomaly detection in massive amounts of image data. The project explores the use of hierarchical data representations and storage layout designs to achieve high performance capabilities. The utility of novel architectures, such as GPU-based clusters and/or cellbased machines, is also explored. We also investigate the support of real-time continuous and ad hoc queries over streaming image data, including the design of dynamic algorithms for query optimization enabling efficient usage of computing and storage resources. 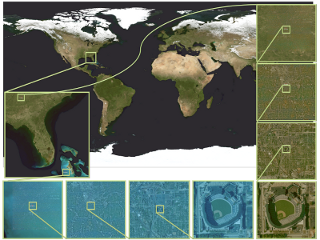 The results of this research will be useful to next-generation feature detection software tools for analysis of high resolution satellite imagery of interest to NGA and others. In this project we develop a new visualization framework based on the coupling of general-purpose data analysis tools with Information Visualization techniques to allow rapid computation and effective presentation of meta-data road-maps guiding scientists in the exploration through terabytes of raw data. We use Morse theory as the mathematical foundation for the analysis, extracting multi-scale models highlighting fundamental characteristics ubiquitous in scientific data, based on topology. 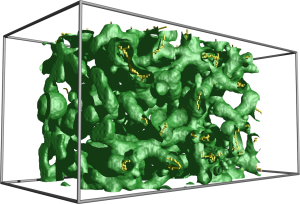 Morse theory can be used in a wide range of applications such as the comparison of simulation results, validation of simulations with experimental data, image segmentation, or reconstruction of structures emerging in simulations from molecular dynamics, material sciences and combustion chemistry. The core of our technology is based on the development of combinatorial algorithms that robustly handle real, sampled data while maintaining the formal guarantees of the underlying mathematics of smooth functions. 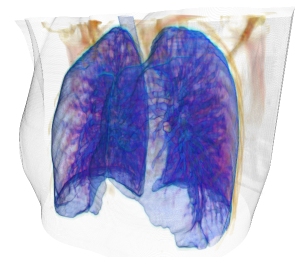 In this LDRD project we develop a suite of progressive visualization algorithms and a data-streaming infrastructure that enable interactive exploration of scientific datasets of unprecedented size. The methodology aims to globally optimize the data flow in a pipeline of processing modules. Each module reads a multi-resolution representation of the input while producing a multi-resolution representation of the output. The use of multi-resolution representations provides the necessary flexibility to trade speed for accuracy in the visualization process. Maximum coherency and minimum delay in the data-flow is achieved by extensive use of progressive algorithms that continuously map local geometric updates of the input stream into immediate updates of the output stream. We implement a prototype software infrastructure that demonstrates the flexibility and scalability of this approach by allowing large data visualization on single desktop computers, on PC clusters, and on heterogeneous computing resources distributed over a wide area network. When processing terabytes of scientific data, we have achieved an effective increase in visualization performance of several orders of magnitude in two major settings: (i) interactive visualization on desktop workstations of large datasets that cannot be stored locally; (ii) real-time monitoring of a large scientific simulation with negligible impact on the computing resources available. 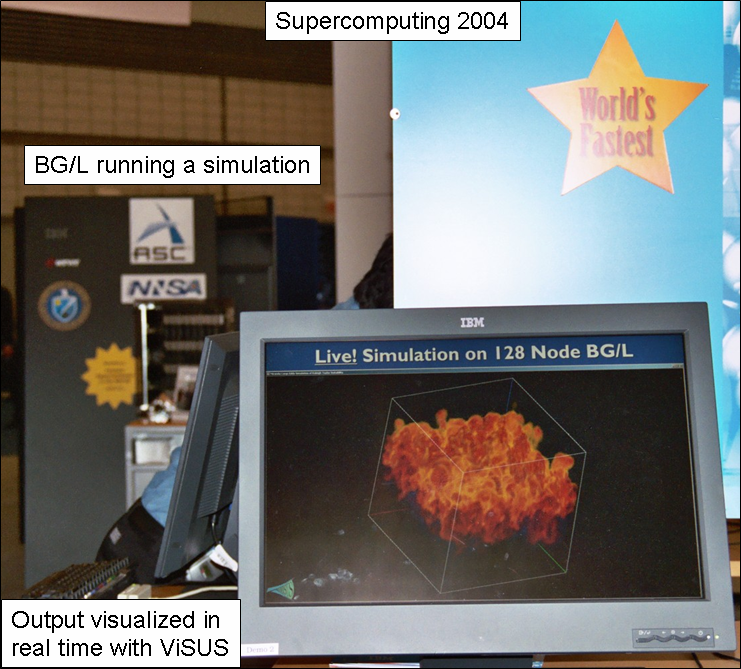 The ViSUS streaming infrastructure enabled the real-time execution and visualization of the two LLNL simulation codes (Miranda and Raptor) run at Supercomputing 2004 on Blue Gene/L at its presentation as the fastest supercomputer in the world. In addition to SC04, we have run live demonstrations at the IEEE VIS conference and at invited talks at the DOE MICS office, DOE computer graphics forum, UC Riverside, and the University of Maryland. 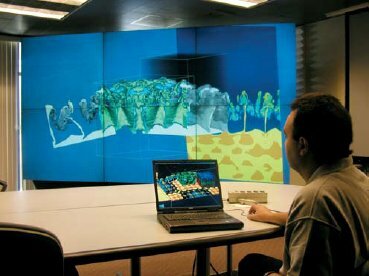 In all cases we have shown the capability to stream and visualize interactively data stored remotely at the San Diego Supercomputing Center or monitor in real-time simulation codes executed on a cluster of PC’s at LLNL. New course offered at UC Davis: Morse Theory for Data Analysis and Visualization. Tutorial for IEEE Conference on Visualization, 2003.